Você está interessado em algo em particular? Busca em nossos artigos. Inoage GmbH, formerly known as inoage trade GbR, was founded by Christian Hertel, Sebastian Pinzer, and Sebastian Wissmann. The company behind the MADRIX brand is located with its main office in Dresden, Germany, and offers its products worldwide. In the last years, Inoage has established itself as a leading provider of LED lighting control solutions based on software and hardware in the professional lighting market. The LED lighting sector being a relatively new market segment, inoage seized the opportunity to launch a software especially custom-designed for the users' needs. Therefore, the software concept is based on user friendliness, productivity, and ease of use. The company has a number of high-profile projects such as the MADRIX installation at the Baiyoke Tower II in Bangkok, Thailand, with over 36,240 DMX channels, i.e. 80 DMX universes, and a lot of other stunning MADRIX installations in clubs and discos around the world. 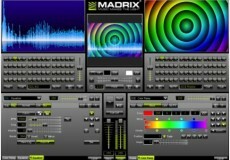 MADRIX is designed with the user in mind. It just works. 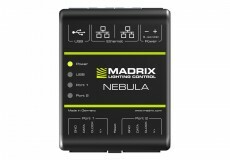 Nebula, the popular LED pixel tape driver from Madrix, has received two major new upgrades. The next major installment of the renowned lighting control tool made in Germany is now available. Exciting new features as well as the brand-new license system make it the biggest release ever. 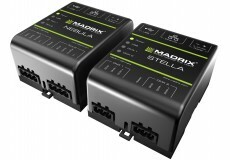 MADRIX® NEBULA and MADRIX® STELLA are two new hardware interfaces that are specifically designed for solid-state LED projects. 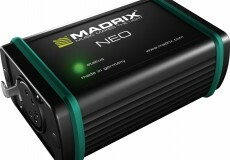 The MADRIX NEO is a small, reliable, and easy-to-use DMX512 USB interface. 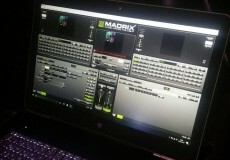 The MADRIX software license for 512 DMX channels is already included. Made in Germany. The well-known cultural event Notte della Taranta in Italy presented an impressive installation with more than 3,500 LEDs with the help of MADRIX KEY professional. 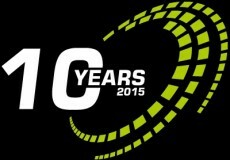 inoage is celebrating the 10-year anniversary of MADRIX® at this year’s Prolight + Sound. 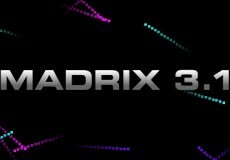 Madrix says its Version 3.3 provides substantial improvements in all areas — from workflow, usability, and performance to a large number of enhanced or entirely new features. MADRIX controlling one of Jakartas top clubs. 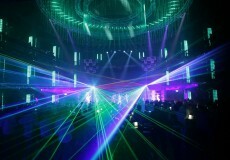 Colosseum Club — LED lighting design taken to the next Level. 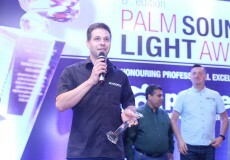 MADRIX® 3 Awarded Product Of The Year By Live Design. MADRIX® 3 has been named Product Of The Year 2013-2014 in the category Lighting: Software/Control. 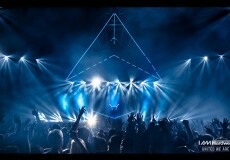 The new year starts with one of the most spectacular LED installations to date! 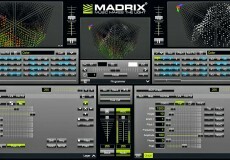 176 DMX Universes controlled with 22 MADRIX LUNA + MADRIX ultimate software. 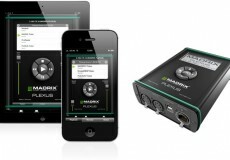 MADRIX is introducing new products at Prolight+Sound. The new MADRIX® 3.2 is the second major update to add many more improvements to the modern LED lighting control software. 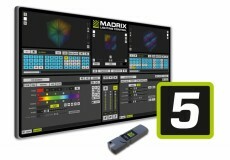 MADRIX at LDI 2013 & new MADRIX 3.1 is now available! MADRIX 3.0 brought about the big leap from pixel mapping to voxel mapping. 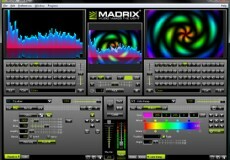 Prolight+Sound 2013: Introducing MADRIX 3. 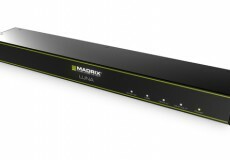 MADRIX LUNA is an easy-to-use and reliable 8-port Art-Net node or DMX512 USB interface, made in Germany. LDI 2012 presents the next opportunity for trade show visitors to experience the MADRIX product range of LED lighting control solutions. Os dados, documentos, arquivos e informações contidos neste web site são fornecidos para fins informativos unicamente. Embora os conteúdos deste site sejam processados com a máxima escrupulosidade, nem Audio Effetti Srl, nem os seus content providers (fornecedores de conteúdos), nem os seus colaboradores poderão ser considerados responsáveis por eventuais erros ou lacunas nos conteúdos do presente site, ou por danos diretos, indiretos, consequenciais ou por qualquer outro tipo de dano de qualquer modo ligado à utilização do presente web site ou das funcionalidades contidas nele. Os conteúdos podem ser objeto de atualização e/ou aprimoramento sem aviso prévio e sem uma periodicidade pré-estabelecida. Audio Effetti Srl rejeita qualquer responsabilidade pelos conteúdos dos sites terceiros aos quais os links (ligações) do presente site podem remeter. Os links externos são fornecidos para fins práticos apenas e isto não deve de modo nenhum ser julgado como sendo uma aprovação do conteúdo dos referidos sites terceiros e nem garantia da atualização ou adequação dos mesmos.